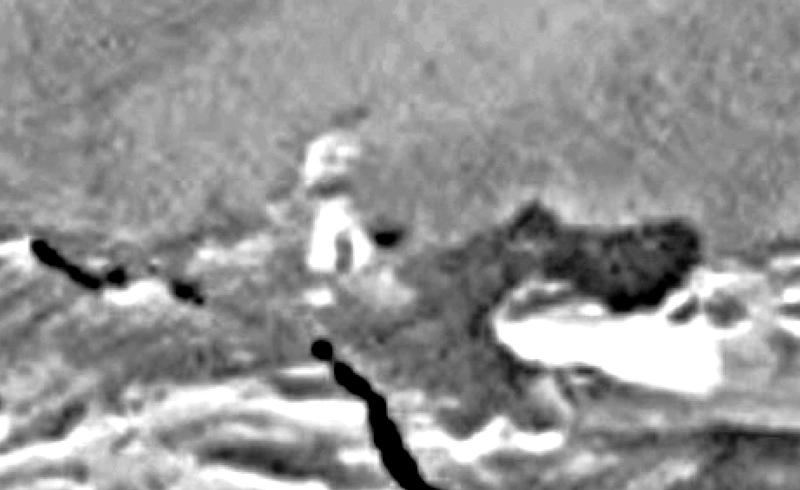 UFO SIGHTINGS DAILY: Alien Figure Watching Mars Curiosity Rover From Hillside, Sept 25, 2015, UFO Sighting News. 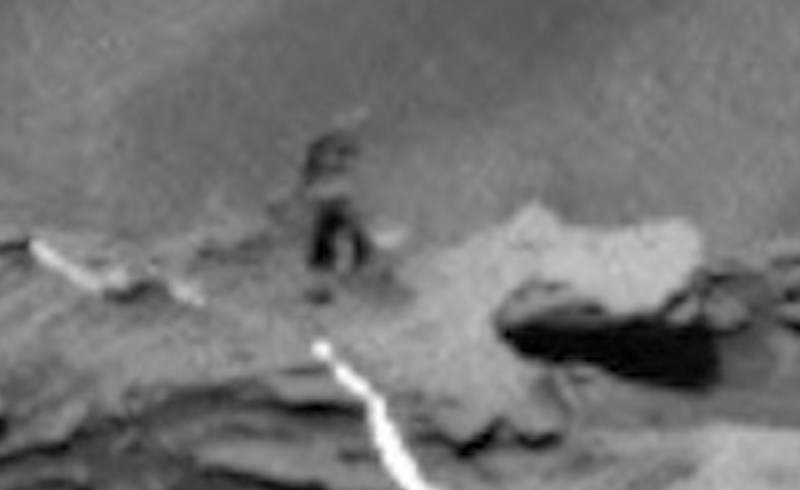 Alien Figure Watching Mars Curiosity Rover From Hillside, Sept 25, 2015, UFO Sighting News. 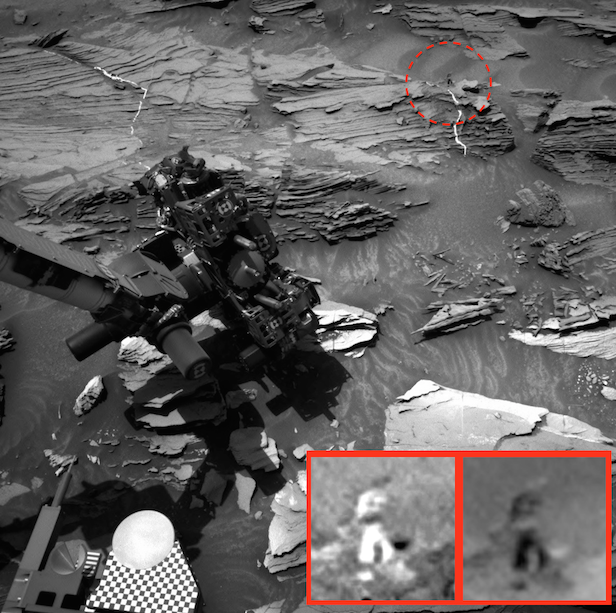 Guys, I found this figure in a Curiosity rover photo. 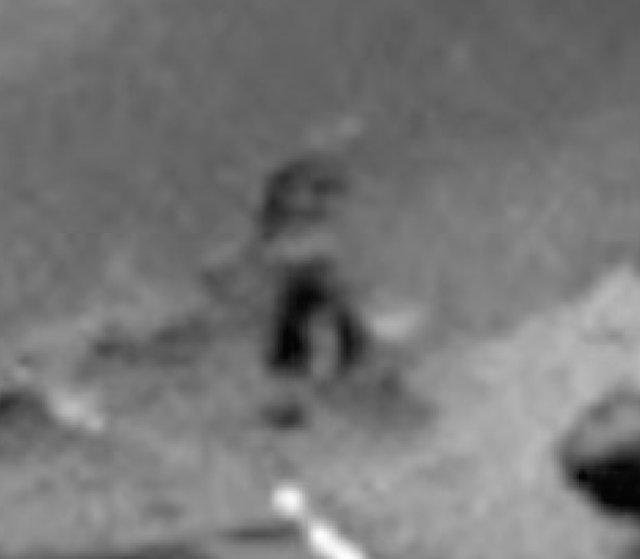 I was at one of the two blogs that NASA has for the rover and caught sight of something standing upright on two legs. 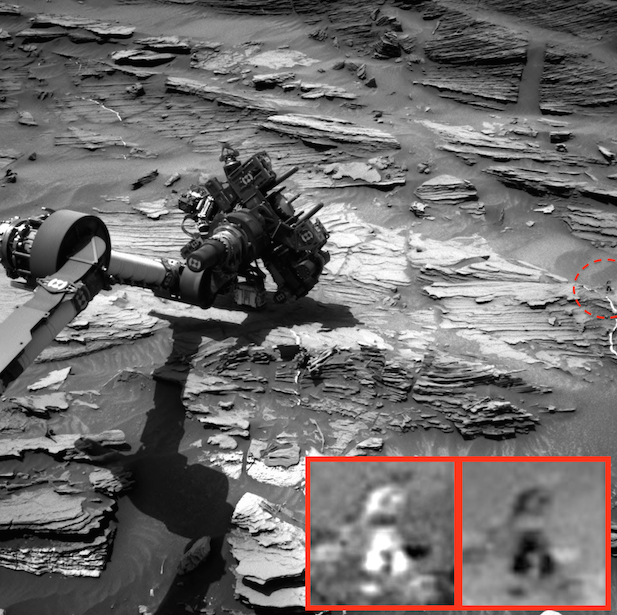 When I made the photo 5X bigger I found that the figure seemed human-like. I have reported about 10 figures over the last 3 years...all of them small beings like this. Some of them looked alive, others looked petrified by some cruel weapon. 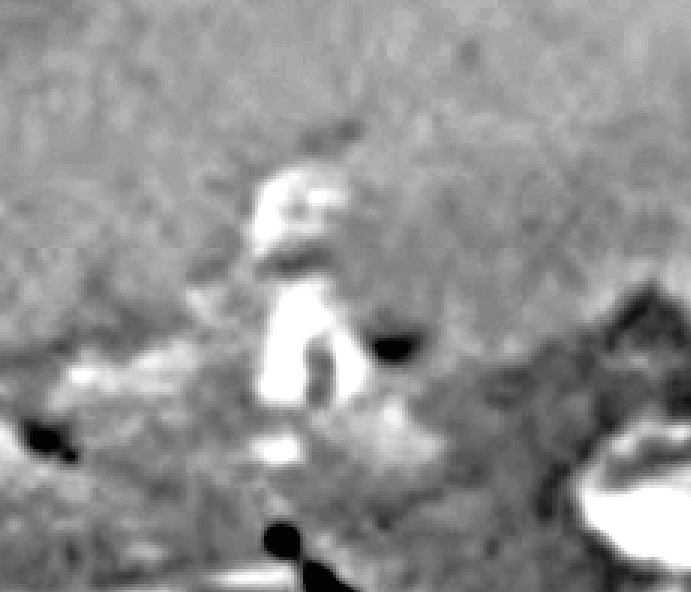 Why does NASA ignore these alien figures? Because finding life is not part of their public mission, but is on the rovers covert missions it performs. Publicly, the rover is there to appease the curiosity of the public...thusly they named the rover...Curiosity.